I have to admit that I have never been a huge body cream/lotion fan. No matter how dry my skin gets, I can never get into a regular routine with any sort of moisturizing body product. 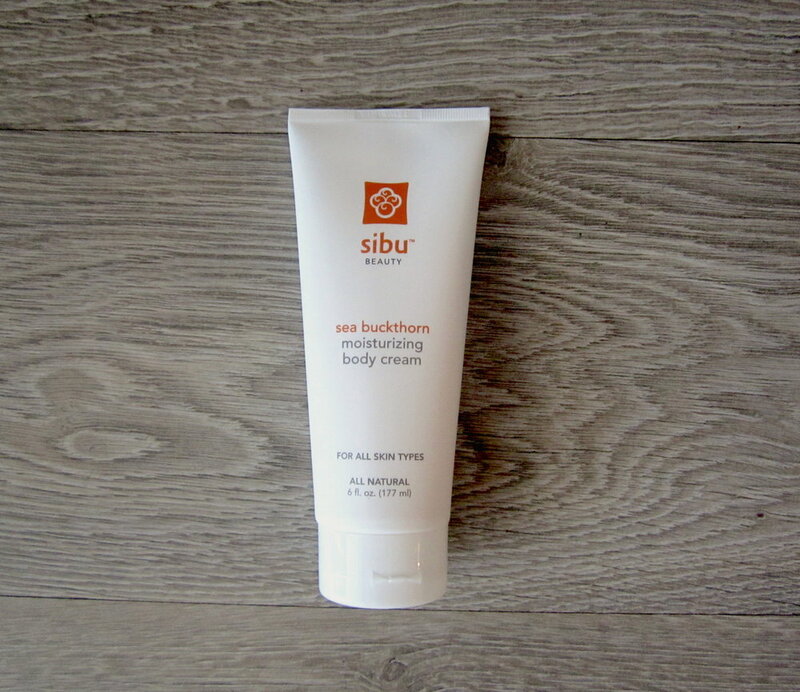 That being said, I’m starting to change my tune after being sent the Sibu Beauty Sea Buckthorn Body Cream ($15). I always find that body creams feel good when I initially apply them but the results aren’t long lasting enough for me to really get into it. This cream on the other hand has great results well beyond the first 15 minutes. The second I apply this cream my skin instantly has a healthy glow. All of my dry, lifeless, skin is brought back to life and any sore spots are relieved. Just a small drop on my hand made a drastically improvement – even my boyfriend took notice of the quick result (which never happens). The best part is that my skin feels soft and hydrated well into the next day. It has a nice, light orange scent but non-citrus lovers may want to take a sniff before investing in the full product. The verdict – I'm definitely digging my new body cream from a brand that is very new to me (I love it when that happens!). Finally, my skin is ready to take on the harsh Toronto winter!